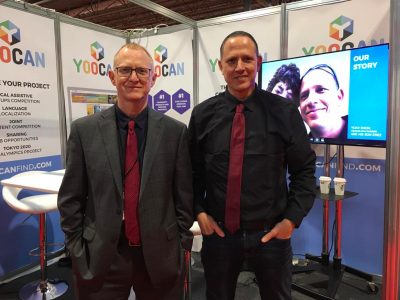 Yoocan CEO presented at Naidex 2019 on March 25-26 in Birmingham, England. Presentation included tips on how to improve collaboration in the global disability ecosystem, the new “yoocan work” search tool & the yoocan “Tokyo 2020” initiative giving para-athletes & related organizations from around the world an opportunity to share their empowering stories as they prepare for the games. 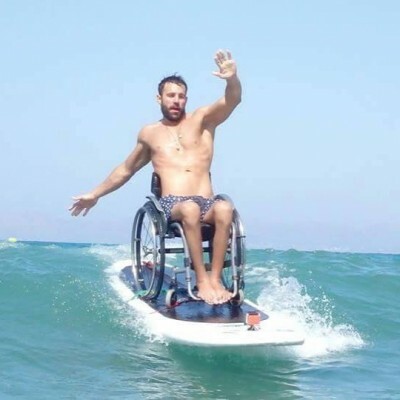 Yoocan CEO, Moshe Gaon, presented at the Naidex 2019 conference on March 25-26th in Birmingham, England. “Naidex is Europe’s most established trade, professional and public event dedicated to the care, rehabilitation and lifestyle of people with a disability or impairment.” More than 15k people attended the show this year and the yoocan booth was a major attraction. Yoocan is the #1 global collaborative community for people with disabilities and the first assistive technology hub. At the convention, Gaon introduced their newest initiative “Tokyo 2020.” This project will create opportunities for para-athletes to share their empowering stories and for organizations involved with the Tokyo 2020 games to introduce and promote themselves for free. Gaon also spoke at the conference on how you can change the world for people with disabilities by building a collaborative ecosystem of organizations, individuals & companies.